When you choose Woody’s Gates & Operators, rest assured that you are choosing quality gate services. 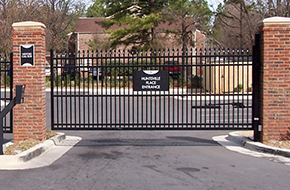 Woody’s Gates & Operators knows what how to install and maintain residential and commercial gates. 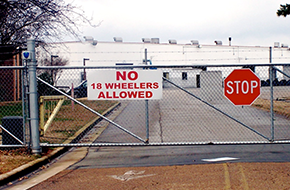 Established in 2006, Woody’s Gates & Operators has constructed quality and durable gates for the Huntsville, AL area. Our commitment to providing an excellent product at affordable prices has quickly made us one of the premiere gate building companies in the region. Woody’s Gates & Operators does residential and commercial gates, meaning that no matter what your gate requirements are, we can meet them. If you want a gate for your driveway or other area of your home property, Woody’s Gates & Operators is here to help. 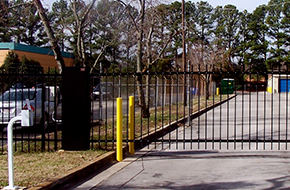 If you own a storage facility or other commercial site that needs the extra security a gate provides, Woody’ Gates & Operators has several options for you to choose from. When you hire Woody’s Gates & Operators we will offer you a free planning and consultation session. During this session, we will discuss with you the types of gates and gate operators we have available, as well as help you decide which one will best suit your needs and budget. Additionally we offer no-obligation free price estimates so you know how much you can expect to pay if you decide to go forward with your gate installation. For professional gate services at prices that won’t break the budget, schedule a free consultation with one of the expert gate technicians at Woody’s Gates & Operators right away.